Over the years I’ve seen calls for the R.eaders I.mbibing P.eril challenge and I finally decided to participate. The logo by Abigail Larson is pretty awesome, isn’t it? As I mentioned, I’m going to go for a small goal. 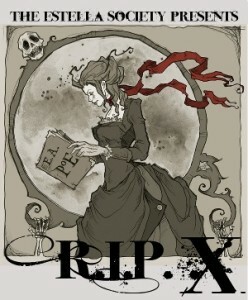 Peril the Second: Read two books of any length that you believe fit within the R.I.P. categories. The challenge is to mail an item daily for each day of postal service in your area. The second part of the challenge is to reply to all the letters you receive. Mantel creates a sympathetic portrayal of Thomas Cromwell. He’s a self-made man who left his abusive father’s home as soon as he could. 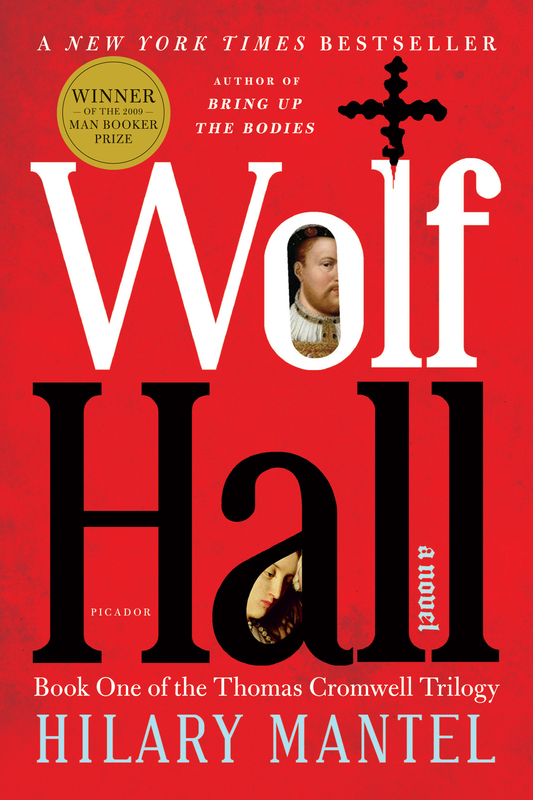 I’ve commented in the Wolf Hall Read-Along discussions (held by The Bluestocking Society and It’s All About Books) how his story can appeal to Americans since he’s a self-made made. Out of nothing but his willingness to work (or fight in battle) and use his brains, he rises to power in King Henry’s court. One aspect of Cromwell nearly everyone commented on in the Read-Along was his love for his wife. Because of his background he was able to choose his own wife. Mantel certainly makes you believe he loved her. After her death he longs for her and often finds himself mistaking his sister-in-law’s presence for his wife. Years later, he still thinks of her. The political intrigue is quite interesting but nothing I’d want to live through or with. A lot of the book is spent trying to figure out how Henry can leave his wife and still be a religious example. Cromwell thinks like a lawyer and a common man so it’s interesting when he thinks ahead to the counter-arguments. There are so many different characters with the same first names – Thomas, Henry, Edward and William – it can be difficult to keep track of them. Fortunately, Mantel has a reference guide in the front of the book. I didn’t want to wait too long before reading Bring Up the Bodies. 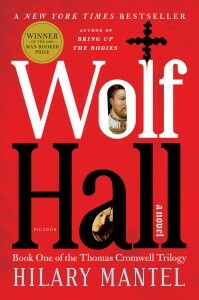 For some readers it will be confusing because some of the story is told through Cromwell’s recollections and some parts are third-person point of view. But if you can read it for long stretches at a time, it will become second nature to know what is happening in the action. Lettermo is no more but the spirit lives on. Mary Robinette Kowal – I received her reply to my first letter this week so I sent her a reply. An introductory letter to a UK Lettermo participant. An introductory postcard to a US Lettermo participant. Replies to Beth Cato, Rhonda Parrish, and a third Lettermo participant. Girls Love Mail – I sent a small package with three letters. A birthday present for my niece. As of today I have mailed 25 items, received 14 Achievements and have an achievement score of 140. In last week’s update I mentioned some people have mailed hundreds of items and pondered how much was spent in postage. One person was kind enough to share his statistics for the month. In February he sent out 56 cards and spent about $33.40 in postage. He received 23 pieces of mail which I think is a wonderful number. At the end of January he sent out 14 items which may have helped increase what he received. California, Illinois, Georgia, New Jersey, North Carolina, Ohio, Oklahoma, Texas, Utah, Virginia, Washington D.C, and Wisconsin. Next week I’ll have a wrap-up post. The third week for the challenge is now over! Artist Deena Warner – Starting in 2005 I’ve received an annual Halloween card from her. For once, I thought I’d send her a little artwork, and sent her a Niteblade postcard featuring artwork from Marge Simon. A reply to Suey of It’s All About Books. A friend in New Jersey. An introduction letter to a Lettermo Participant who friended me on the forums. As of today I have mailed 17 items, received 11 achievements and have an achievement score of 90. One person has mailed 374 items. While I can estimate that is quite a bit of postage, I can’t help but wonder what the person has mailed to people. Are they postcards, mailart, packages, or letters? I have been quite a bit more active on the forums this year for Lettermo and one of the questions posed was “In what order do you send your mail?” When you have a bunch of thank you cards, for example, do you tackle the shortest content first? Do you write them in alphabetical order? Do you send them out according to geographic area? My goal for Lettermo was to send letters internationally first and when it came to my Valentines I sent them out according to the furthest point from me first to Ohio addresses last. Everything else has been sent with no rhyme or reason. The second week for the challenge is now over. I skipped mailing on Friday and Saturday and made it up on other days. A birthday card for Kimmie’s niece. Valentine’s cards for my two best friends. Valentine’s postcards to Beth Cato, my parents, and my brother-in-law’s family. A postcard to the station manager of the main post office. Incoming mail is still slow but more than before. My first item was a letter from Suey of It’s All About Books. I received a funny Valentine from Beth Cato. Not surprisingly, a package arrived from my mother with Valentine’s Day goodies for me and my husband. And today I found a pleasantly large envelope from Rhonda Parrish. It was a cute notecard with some Niteblade postcards which I will be sending to other Lettermo participants. Something new this year for Lettermo are the enhancements to the site. It keeps track of the # of items you mailed, and gives you an achievement score for different things (finding a new mailbox, sending a valentine/birthday wishes, mailing to an international address, etc.). As of today I have mailed 13 items, received 8 achievements and have an achievement score of 42. Some people have mailed out 159 items. That seems unbelievable! Heather B. Armstrong made a timely post about teaching her daughter how to address an envelope I thought I’d share with you today. Would you like me to send you something in the mail? Let me know and I’ll send you an email to get your address. It’s a week into February and I’ve been doing well at keeping up with the challenge. Incoming mail has been small. I received some postage stamps I ordered online and cute Valentine’s Day postcards from Etsy. I’m not expecting much return mail this year. Kate Atkinson – No snail mail information. Margaret Atwood – Snail mail contacts for agent, foreign language rights, film/tv rights and research/academic inquiries. Emma Donoghue – Snail mail contacts for film rights, agent, speaking engagements, and so on. Neil Gaiman – Snail mail address for one of his assistants. Sara Gruen – Snail mail address for agent and speaking engagements. Joe Hill – No snail mail information. Jim C. Hines – No snail mail information. Lee Martin – Snail mail contacts for media and agents contacts. He’s local to me so I could send a letter to his office at the university but that’s stalkerish behavior. Christopher Moore – No snail mail information. R.L. Naquin – No snail mail information. Kait Nolan – No snail mail information. If you’re participating, are you doing any “theme” weeks? It’s nearly that time again. 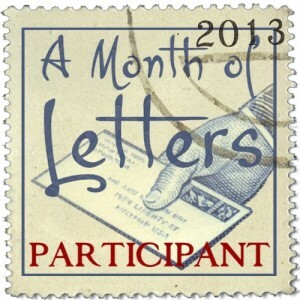 February is A Month of Letters challenge. All you have to do is mail an item every day the post runs. In the United States that is 23 days. You don’t have to mail a letter or a post card. You can mail a newspaper clipping, a magazine article, or a swatch of fabric. Anything. Hopefully you’ll get something in return. So far I’ve stocked up on note cards, paper and envelopes. Next week I’ll pick up a bunch of forever stamps and plan out my calendar. Are you going to do it this year?